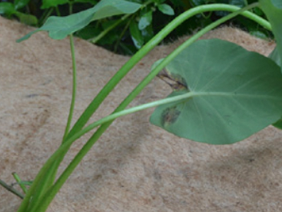 JUTELOK™ is a 100% biodegradable jute fibre erosion control blanket. JUTELOK™ has been developed to promote growth and add to the enhancement of long term stability of steep slopes and indeed those areas which could be affected by erosion in time. It allows water filtration while protecting precious topsoil. JUTELOK™ contains no synthetic materials and will not entangle wildlife or machinery. JUTELOK™ is manufactured from AQIS certified material with no added chemicals or binders. JUTELOK™ Light is engineered to allow the transmission of natural light making it ideal as a germination blanket for seeded areas. Light also reduces the effect of wind and water erosion, protect both top soil and seed and assisting grass establishment. JUTELOK™ Heavy acts as an excellent weed and erosion control geotextile and is designed to extend the period that it takes to biodegrade. JUTELOK™ Heavy is also available in preslit rolls for rapid installation of tube stock plantings. For more information please refer to the technical download located on the right.